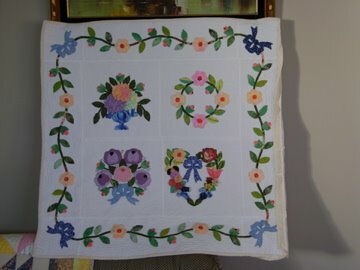 I have been planning a quilt for my great niece using fabric that belonged to her great Grandmother. Here is a preview of the ohio stars that will be the outer boarder of the quilt. 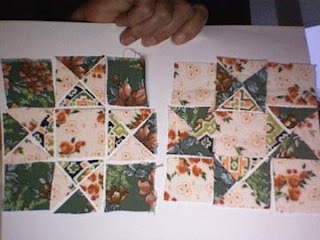 I am working on some Sunbonnet Sue blocks for the inner. I just found your blog and I have added you to my bloglines. Where did you get fabric for $1.99 a metre?? Spotlight was having a sale it will be good for quilt backing. When I get some quilts made !! !